Denna produkt ger dig 268 bonuspoäng. Utriggare, passar på alla master, 5 st. 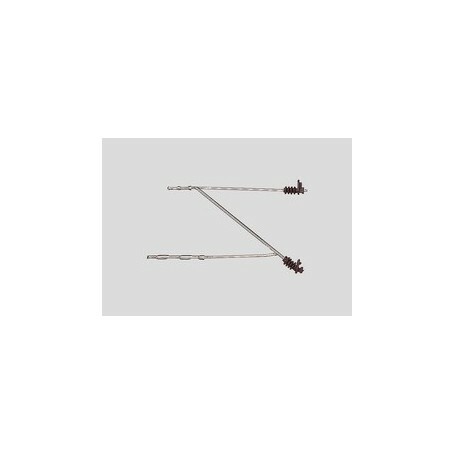 This hanger arm is made of steel wire with hangers for contact and messenger wires. It can be installed on regular masts and on tower masts. 5 pieces to a package. Metal hanger arm for good electrical contact.